Off-Site Records Management provides a complete range of document storage and retrieval services. Off-Site supplies document storage boxes to its customers, which typically remain in customer’s offices for several months prior to being shipped to Off-Site’s storage facility. Our strategy was to transform this utilitarian object into a “moving billboard” for the company. Our solution used Off-Site’s descriptive name as an overlapping, layered graphic to create a metaphor for customers moving their documents “off-site,” enabling the individual boxes to form a continuous pattern when stacked. 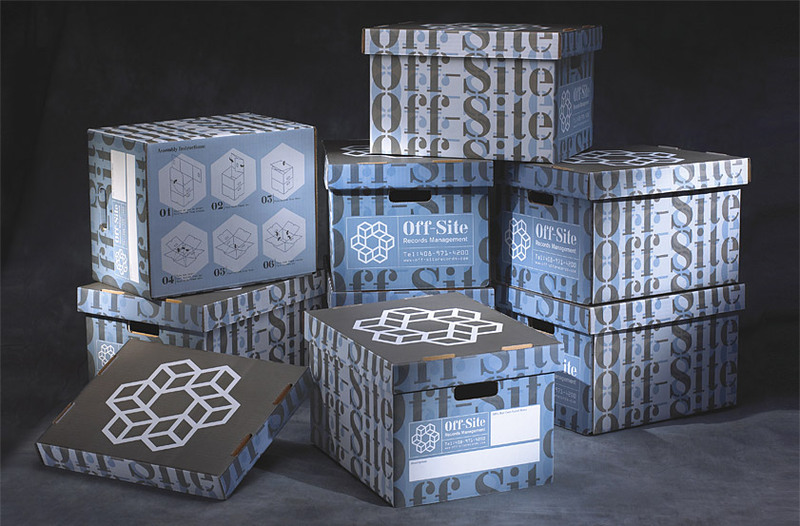 On the lid, the logo’s dimensional boxes form a circle to represent the firm’s complete range of document storage solutions. 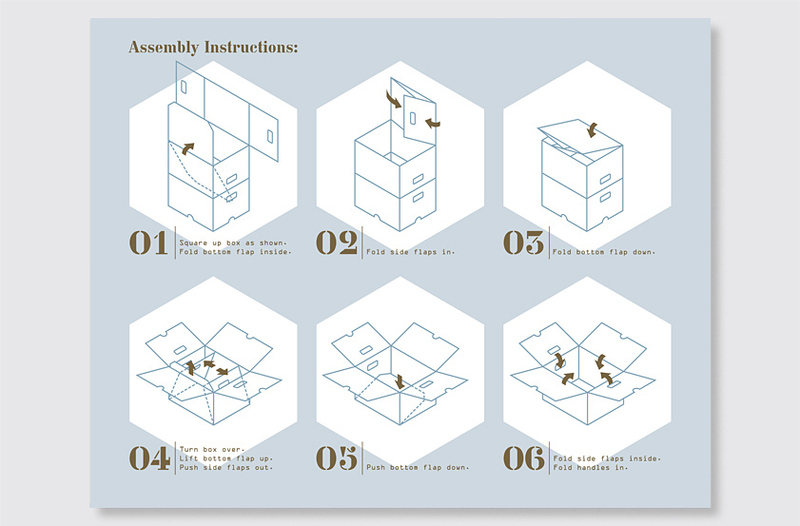 On the box bottom, the logo’s six-sided shape outlines the box assembly in six simple steps. Customer response was overwhelmingly positive, and the boxes have become an important source of revenue and new clients for the company.